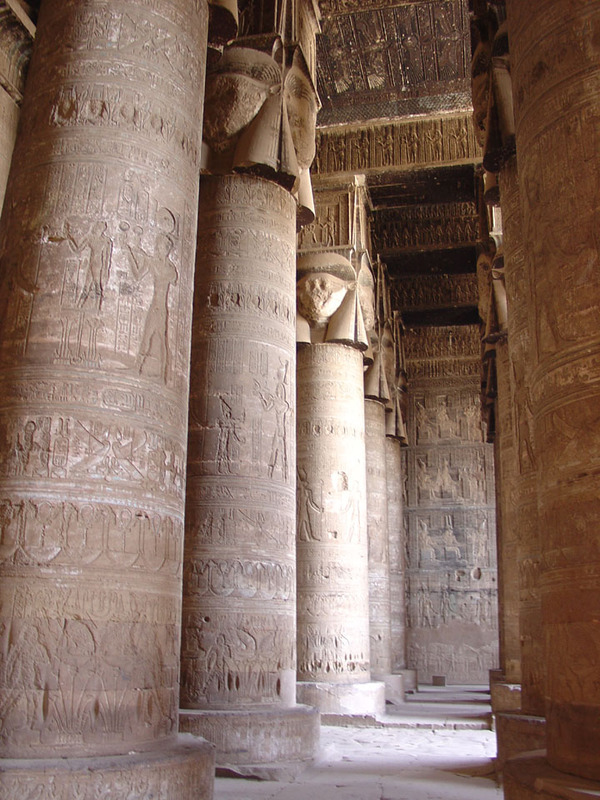 Dendera is located 60km north of Luxor on the west bank of the Nile opposite the provincial town of Qena, There visitors will find the Temple of Hathor, never finished, but well preserved. 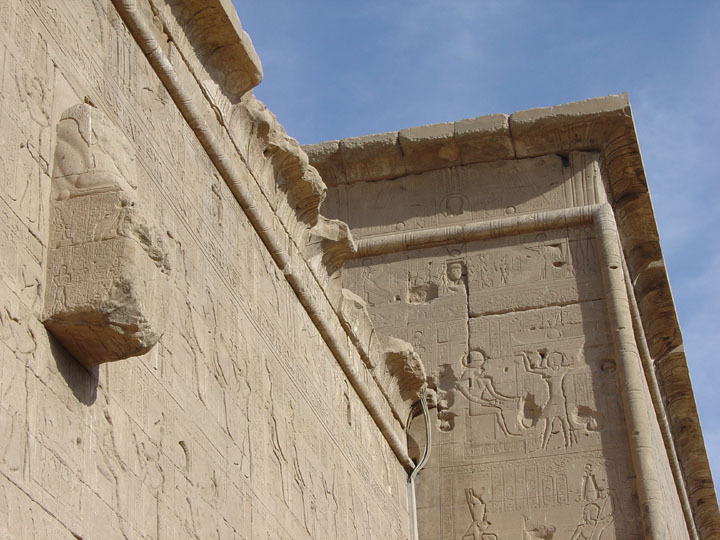 Oriented towards the Nile the Temple of Hathor follows the fairly typical plan of other temples from the Greco-Roman Period. 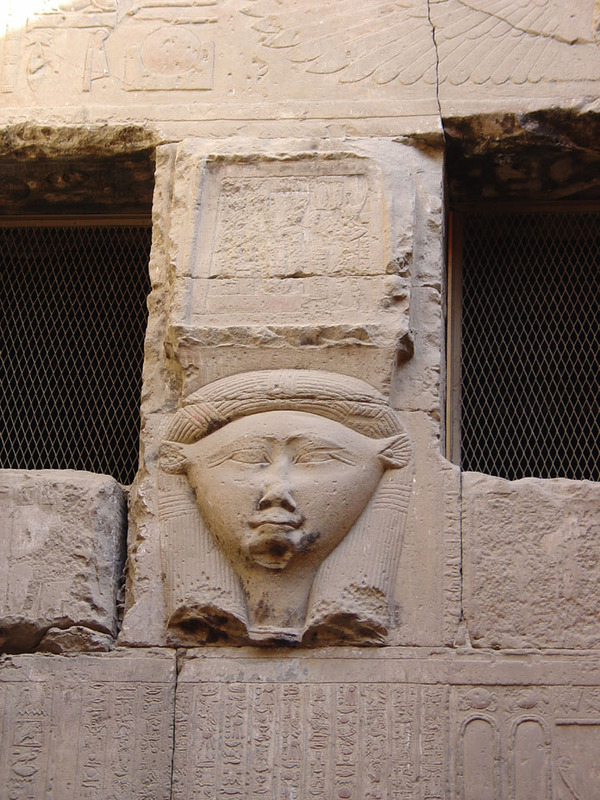 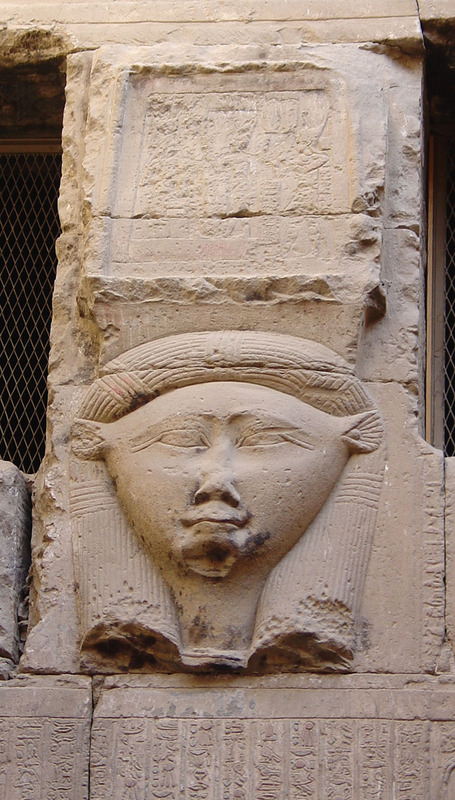 It is dedicated to the goddess Hathor and her mythology relating to her consort Horus of Edfu. 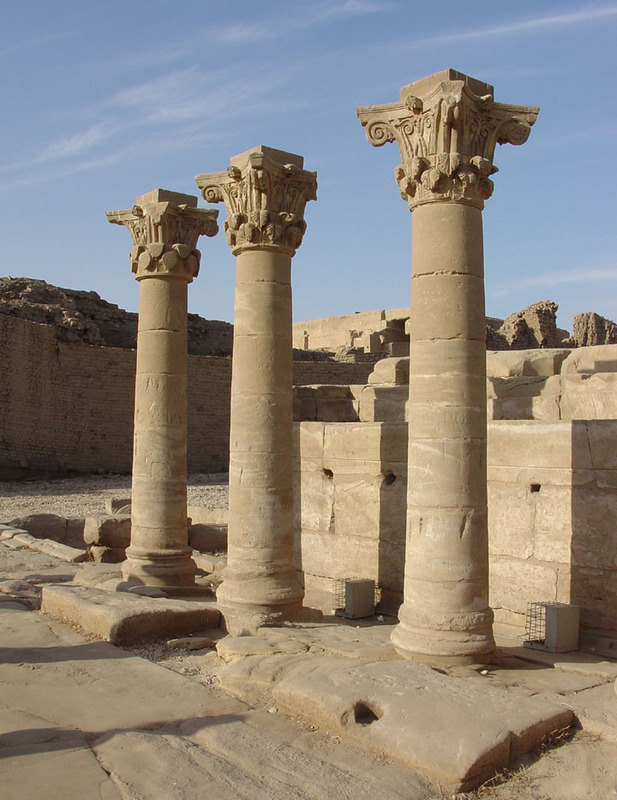 The present temple building was begun before the reign of Ptolemy VIII Euergetes II whose name is found in the crypts, continued through the Ptolernaic kings and was completed during Roman times. 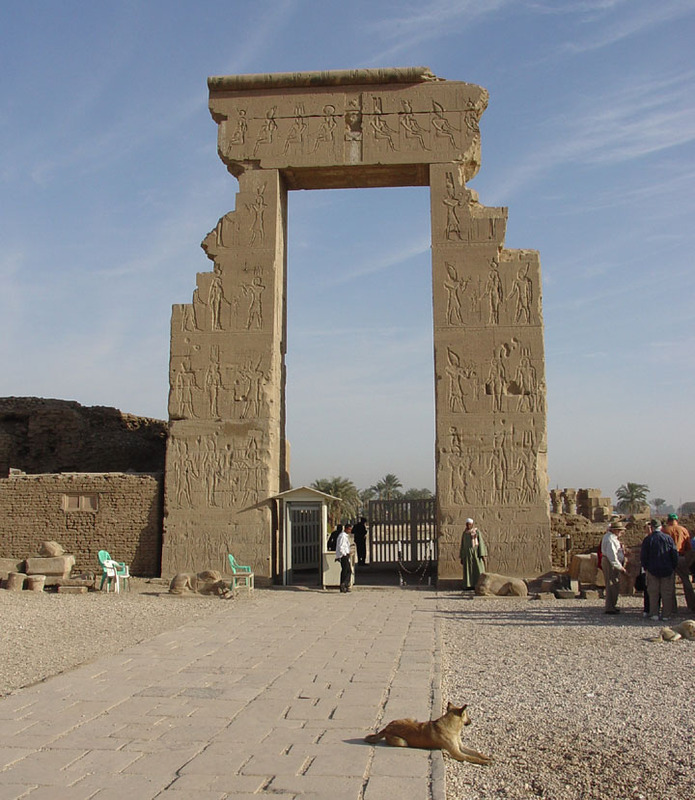 The entrance to the temple complex is an immense Roman gateway. 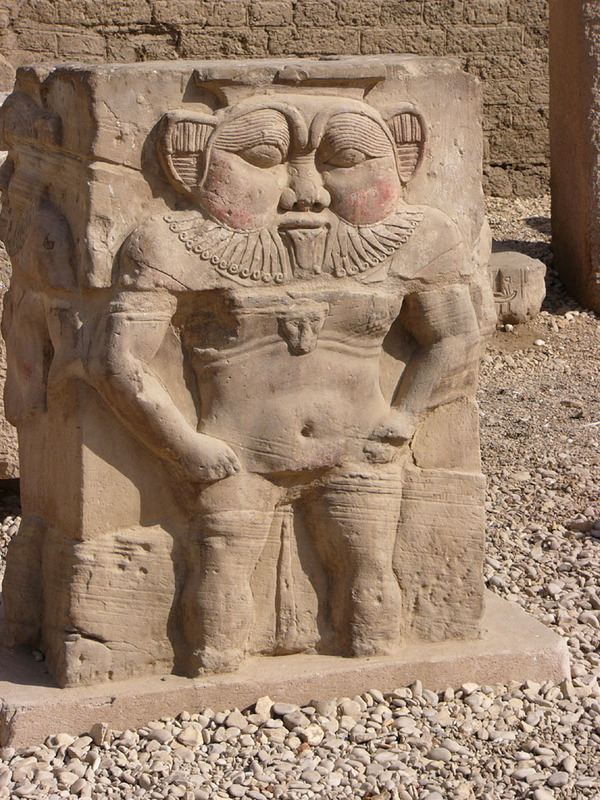 Inside it there is a small but intricate relief carving of Bes, the ugly little demi-god who was thought to always be around. 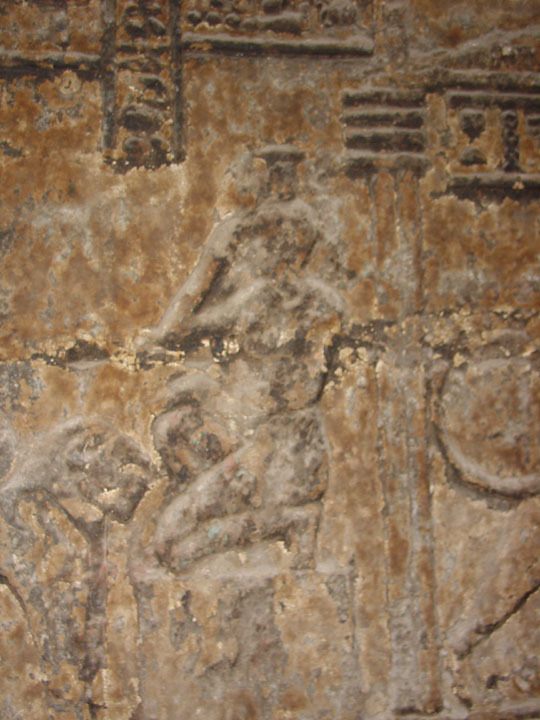 during festivities and celebrations. 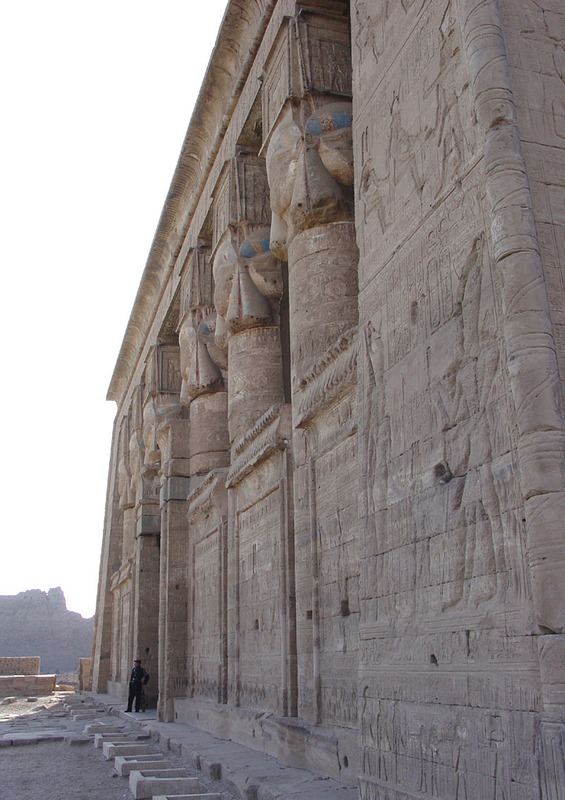 The approach path to the temple is between two Roman fountains that end at the massive entry gate. 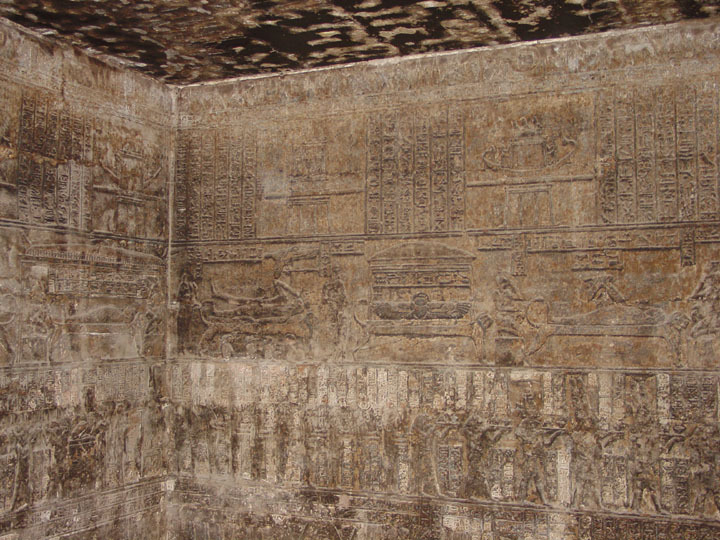 The enclosure walls are mud-brick and date to the Roman era. 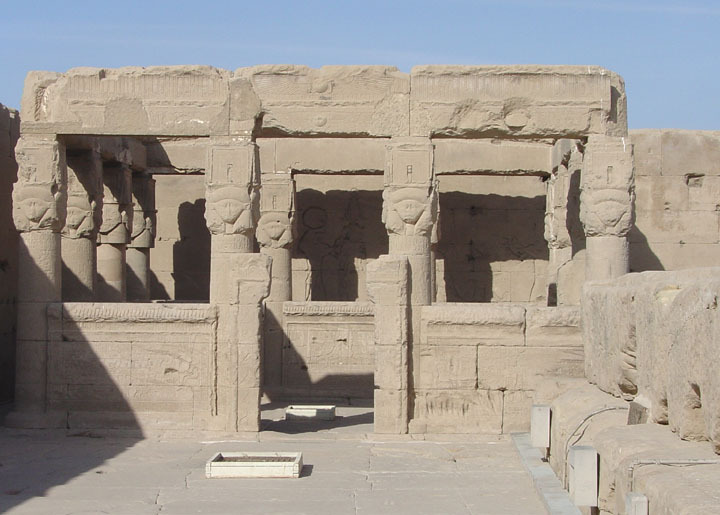 Within the walls are the temple, two birth houses, a Coptic Basilica, a sanitarium, a sacred lake, and a temple to Isis. 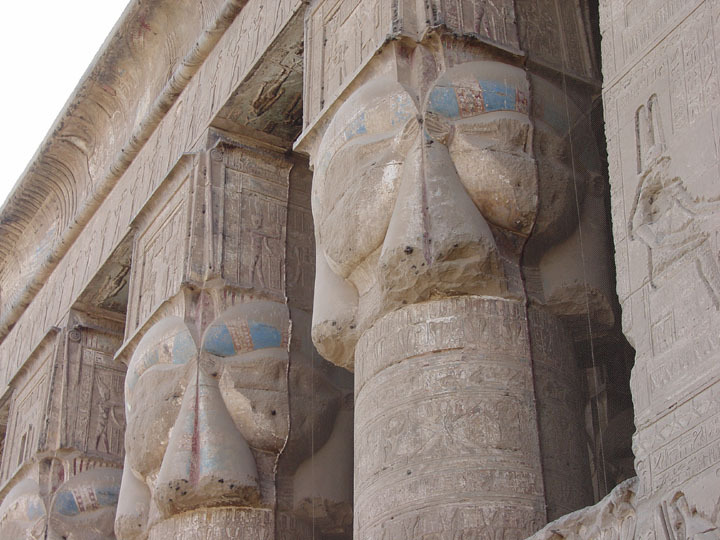 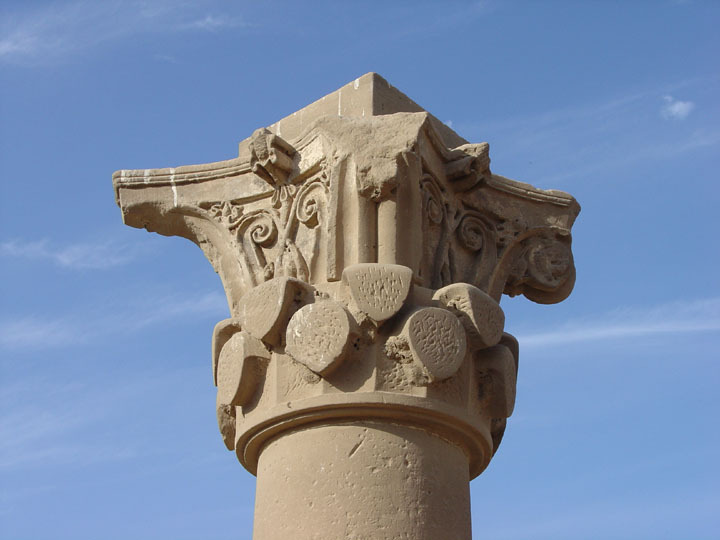 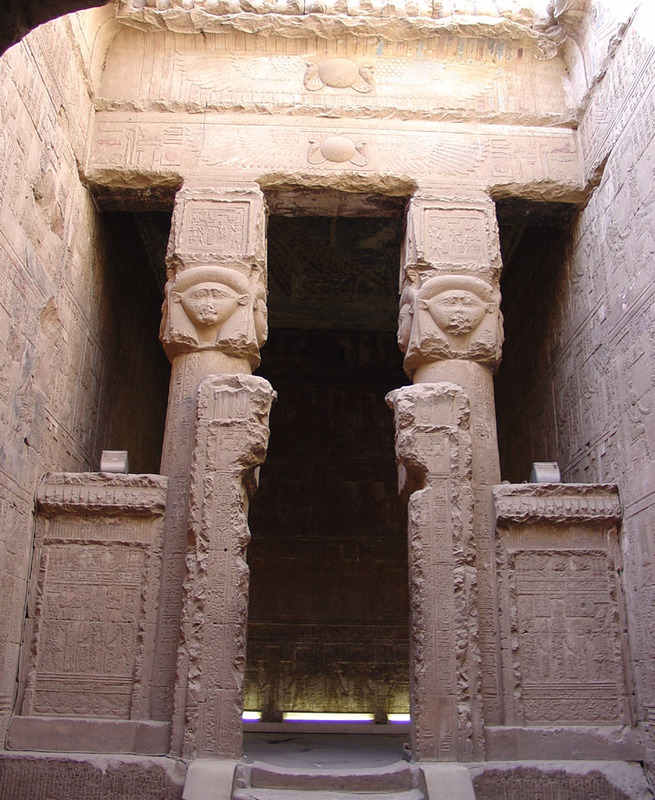 The main temple has an imposing facade constructed as a low screen wall divided by 6 massive Hathor-headed columns and a huge curved cornice with a winged sun-disc over the entrance. 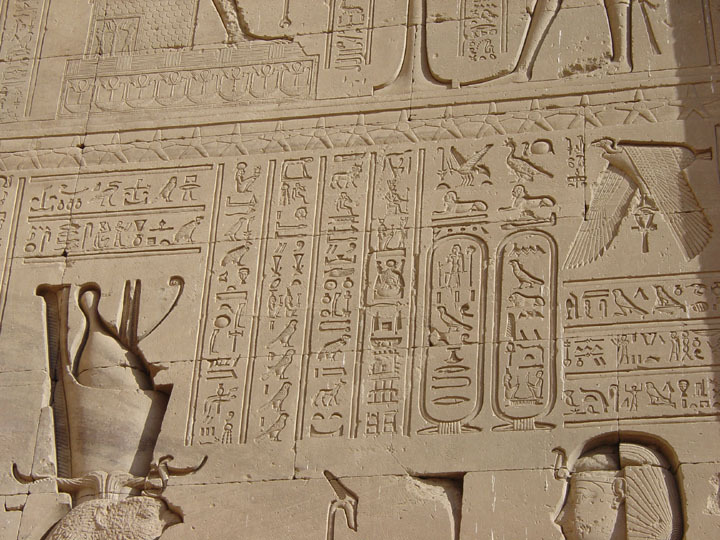 The ceiling of the first hypostyle hall is of particular interest, divided into seven bands of well-preserved astronomical figures featuring the goddess Nut, vultures and winged sun-discs and the Roman signs of the zodiac. 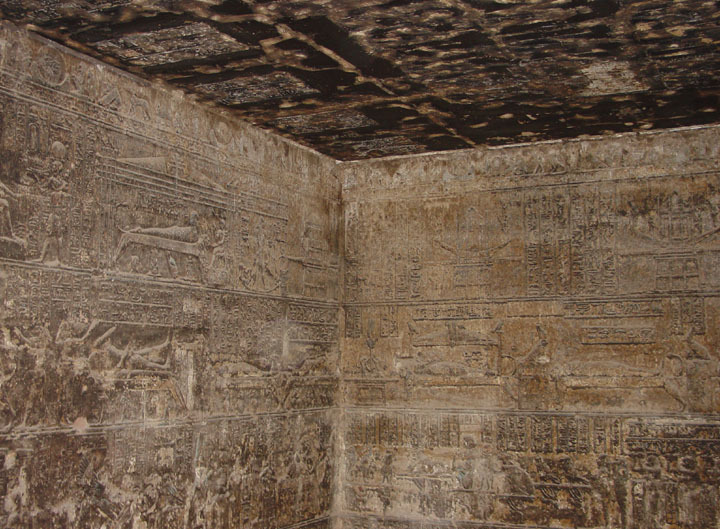 On the roof there is a suite of chambers known as the “Osirs suite” The walls of the first room show scenes of the burial goods of Osiris, including his canopic jars and on the ceiling Nut is again shown with other astronomical figures. 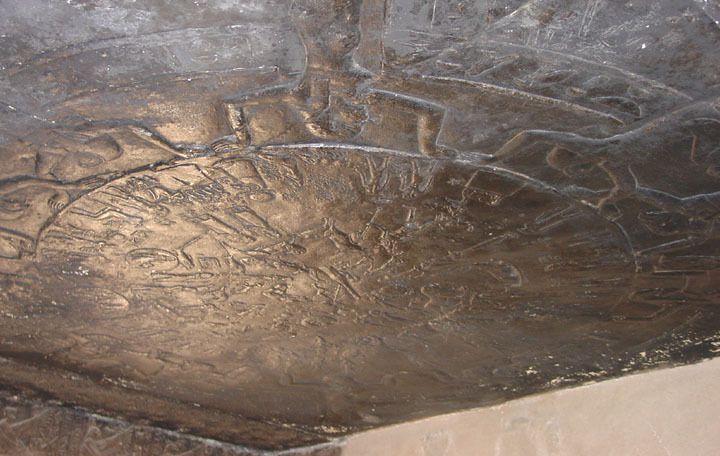 On the other half of the ceiling is a plaster copy of the famous ‘Dendera Zodiac. 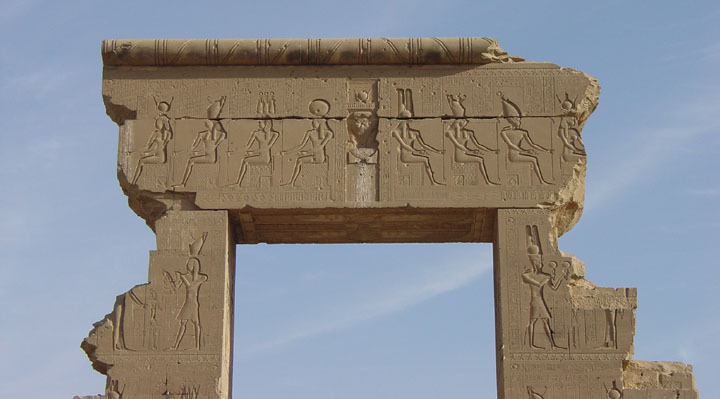 The original is now in the Louvre in Paris. 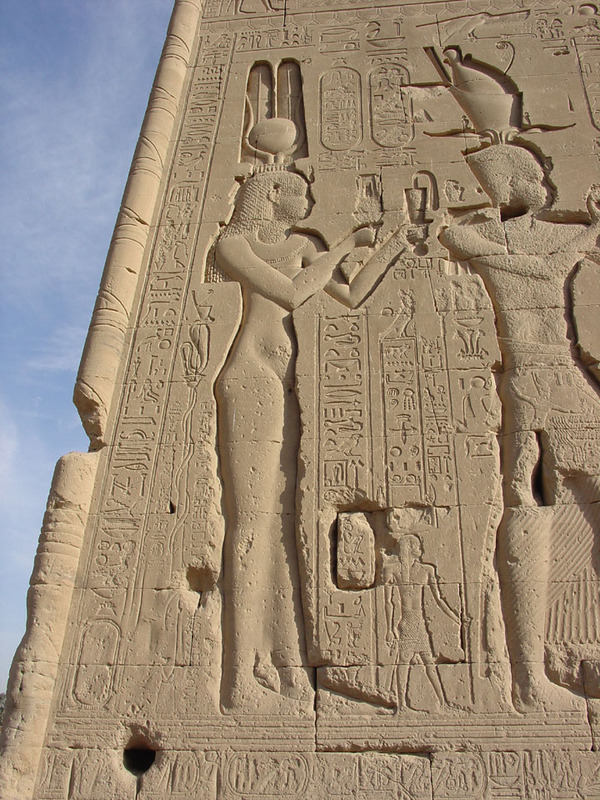 Cleopatra VII with her son Caesarion. 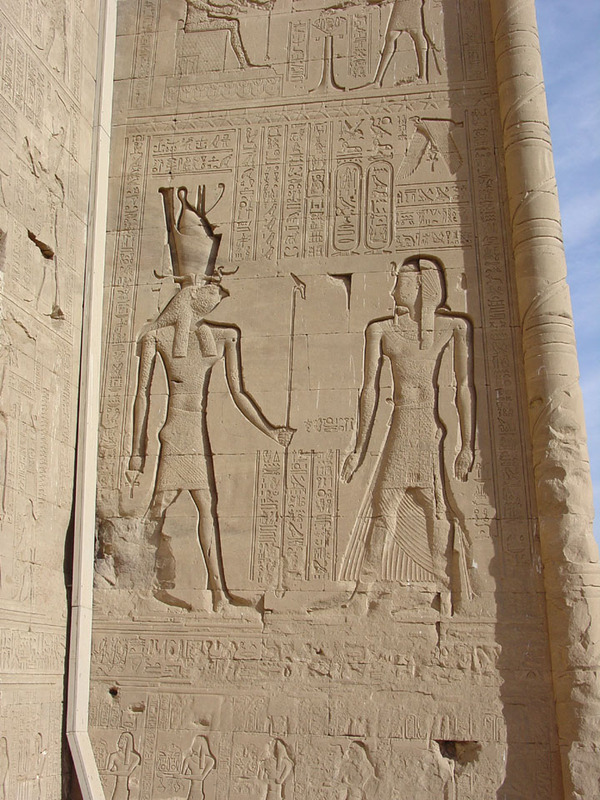 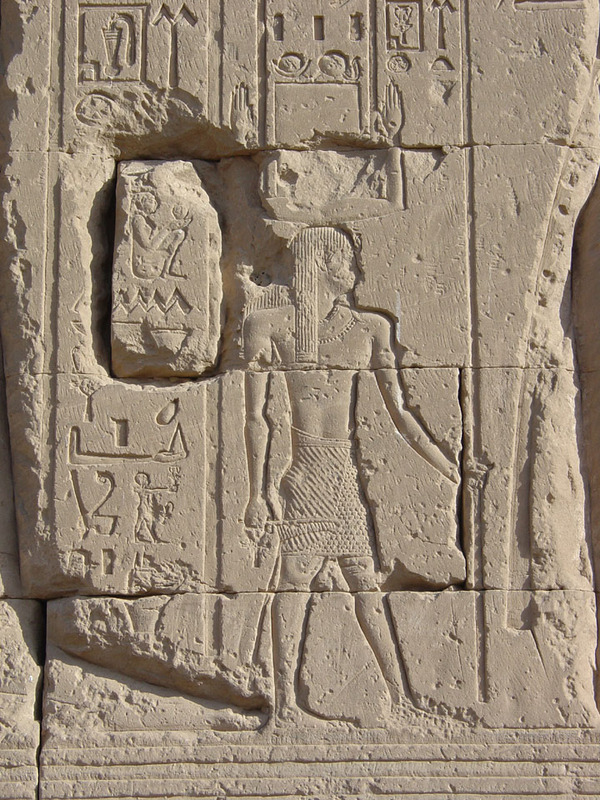 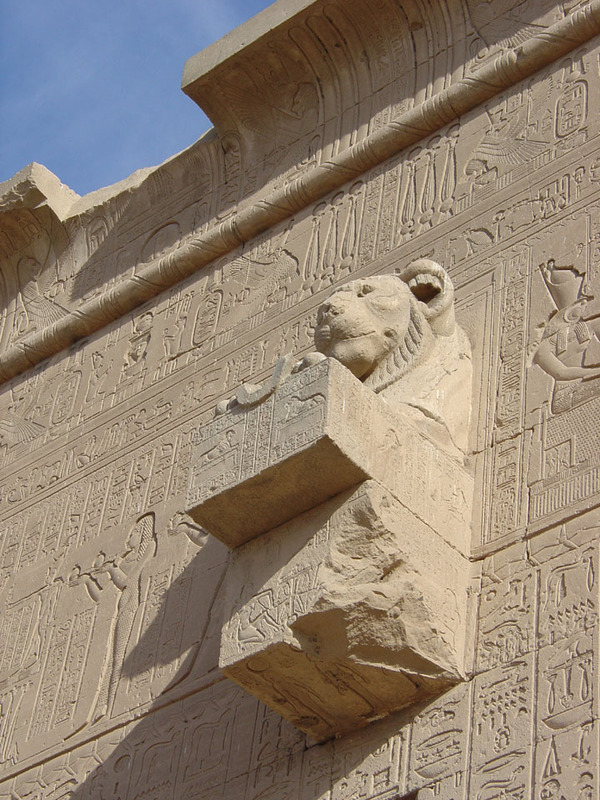 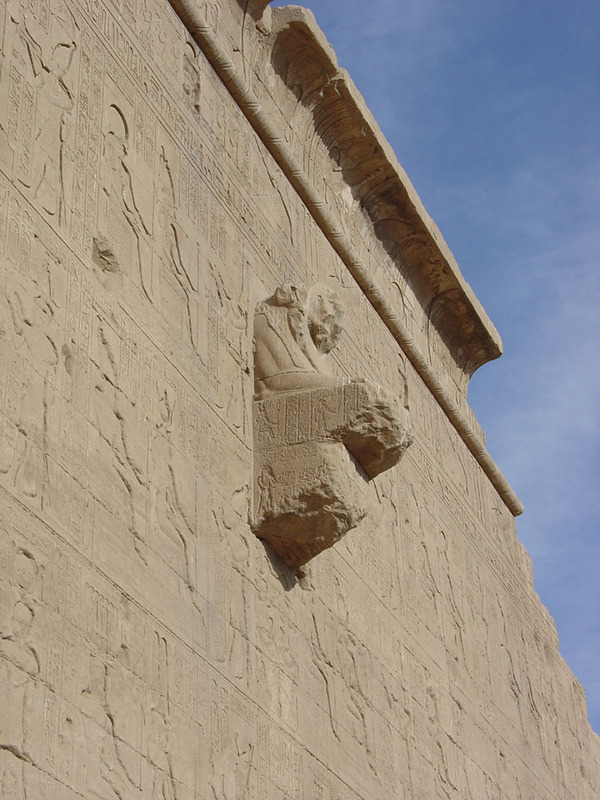 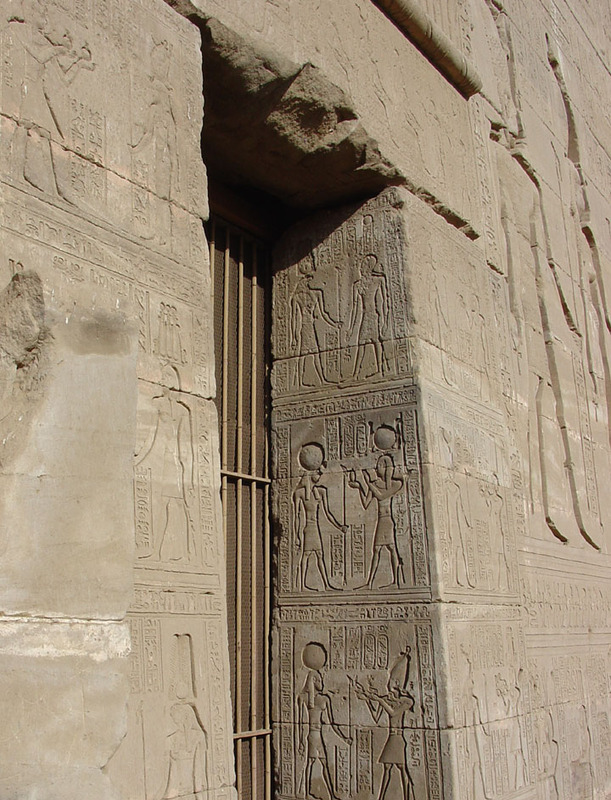 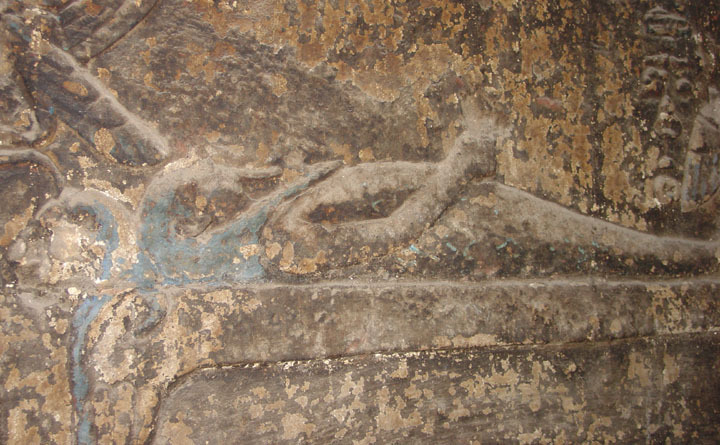 The exterior rear wall of the Hathor temple is worth noting. 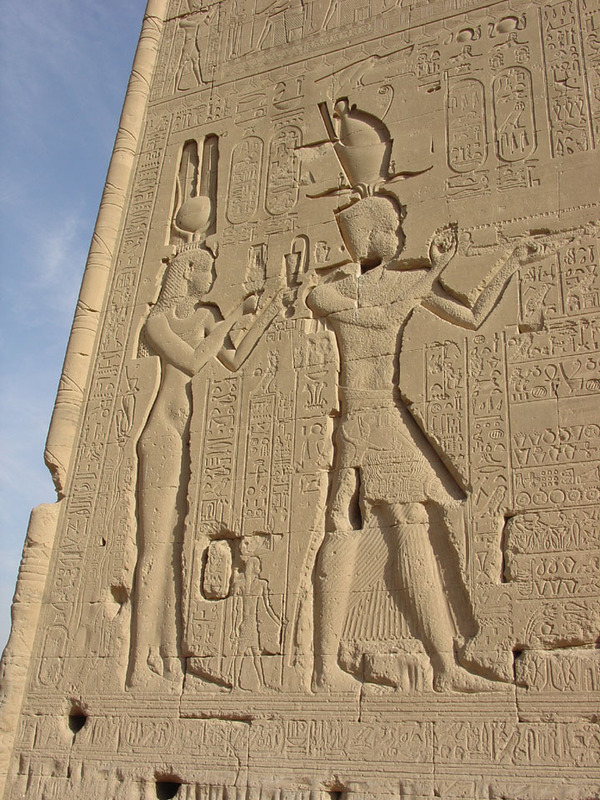 Reliefs depict the royal figures of Cleopatra VII with her son Caesarion.